In times of Instagram and the constant need to share our food and cat images, the image upload function inside an Ionic app is one of the most requested tutorials. A while ago you saw how to implement image upload with PHP backend and today it’s time to take this to the next level by building an image upload and management app with Ionic and Node.js backend! Recently I came up with a new app idea and had to find a way to display and edit CSV data inside an Ionic app. There is no general way to achieve the visualisation like inside Excel, but actually there is an easy approach we can use to work with CSV data inside Ionic. There are many ways to build a chat application with Ionic. You could use Firebase as a realtime database, or you can use your own Node server with some Socket.io, and that’s what we gonna do today to build a realtime Ionic Chat! If you want to create the next killer lifestyle fitness app, chances are high you want to log your measurements into the official Health app on iOS using HealthKit. When your project get’s close to release, it’s time to think about decent ways to build your Ionic app. Of course you can do this by hand, but if you are having multiple apps and configurations this can get out of hand very fast. Also, the iOS upload process takes time – which you actually don’t need to spend because Fastlane exists! If you have developed an app with Rapid Prototyping you want to get it out into the hands of other people. But what’s the easiest way to do so without already submitting your unfinished app? And what about your backend? Ionic 2 is an awesome framework for building out your MVP with Rapid Prototyping. Not only you can benefit from the speed of the framework, you also get the advantages of Angular 2 and a cross platform app for iOS and Android in no time. Do you know how fast you can actually develop a really solid MVP prototype including a frontend and working backend these days? It’s amazing. The Ionic tinder card swipe feature is a highly request UI behaviour and my previous post about the use of it with Ionic 1 was very popular. 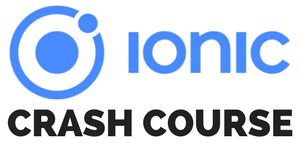 For Ionic there is not yet an official component from the Ionic team, but with some help from a different library we can achieve almost the same results. Having drag and drop functionality in your mobile app is very common, but it’s not really inlcuded in the standard Ionic stuff. I looked around and found a great library called Dragula which gives AngularJS apps great features.